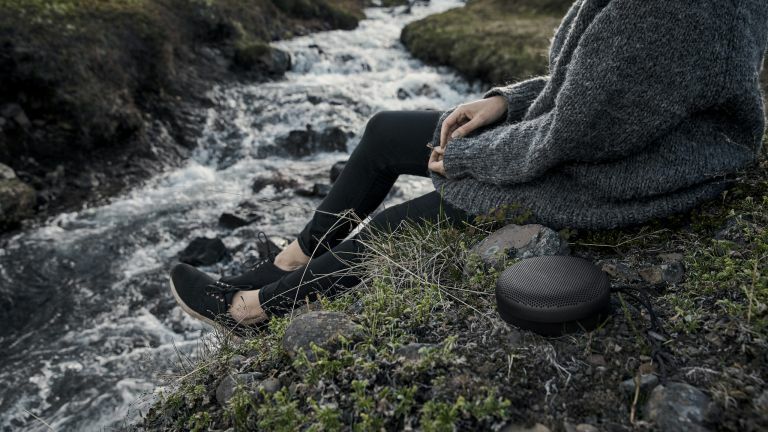 Just a few short years ago, your options for portable audio were pretty much limited to headphones, but these days an incredibly wide variety of portable speakers are available so you can take the music with you wherever you go. Modern portable bluetooth speakers are so good, in fact, that many people end up using them around the home as a replacement for a bulky stereo system. We'd never claim that a small portable speaker is going to sound anywhere near as good as a mains-powered stereo, but if the convenience of being able to carry it from room to room is more important to you then it could be a trade-off worth making. When you're shopping for a portable speaker there are a few things to bear in mind. The two most important elements are probably sound quality and battery life, although unfortunately only the second of these is easily quantifiable. Other features worth looking out for include a waterproofing rating in case you want to take a speaker to the pool or (more likely) be able to wipe it down if it needs a clean. A USB charging socket can also be a helpful inclusion if you want to be able to use your portable speaker to charge a phone or tablet. Finally, a small number of portable speakers are now packing in support for voice assistants such as Alexa and Google Assistant. This is a cool inclusion if you want to do things like select a song without having to use your phone, but such assistants are reliant on a constant Wi-Fi connection, so be aware that they can impact upon how portable your speaker is. The UE Blast represents the next generation of portable speakers. Although on the surface it looks very similar to the existing UE Boom 2, this speaker comes packing support for Amazon's Alexa voice assistant which means you can control the music with your voice alone. That means requesting songs, it means pausing the music without having to touch the speaker, and it also means getting all the other benefits of an Alexa speaker such as setting timers or getting answer to trivia. But all of this functionality would be useless if the speaker didn't also sound great. Thankfully, since the UE Blast builds upon the existing (and excellent) UE Boom 2, the speaker has a lot to offer with a punchy sound that's dripping with detail. It's a little light on ports, which means you won't be able to hardwire or charge a phone from it, but if you want a top notch speaker that's packing the latest voice assistant tech, then the UE Blast is the one for you. If you're not concerned about voice control and you're prepared to pay a little more, then the Dali Katch is a great premium option. It might be a compact speaker but it sounds fantastic, with a rich sound that's dynamic and absorbing and is capable of playing for a lengthy 24 hours. Although it doesn't have Alexa or any form of waterproofing, that doesn't mean you don't get any modern conveniences with the speaker. A small 3.5mm jack is included if you're rather hard-wire your phone than connect it via Bluetooth, and a USB socket is on hand to charge your phone. These features come at a price premium, but if you want a more capable portable speaker, then the Dali Katch is what you need. If you want the audio capabilities of our top pick but aren't fussed about Alexa integration, then the UE Boom 2 is a great way to save some money. Better still, it actually has some features that the UE Blast is missing, including an aux input, and a USB charging socket. You'll have to put up with slightly worse dust protection (which might be an issue if you're taking it to the beach), but the waterproofing of the two speakers is identical. In terms of pure sound quality though, this is every bit as capable, with a lovely full sound that's capable of going loud without compromising on detail on dynamics. All of this means that the UE Boom 2 is a great budget portable speaker pick. The JBL Charge 3 doesn't quite sound as good as the top three entries on this list, but with its budget-friendly price tag and 20 hours of battery life you're unlikely to care too much. JBL produce an almost terrifying variety of Bluetooth speakers, with the Charge line focussing on battery life. That means this isn't the most subtle of speakers around with a thick and chunky sound that's more about kicking bass than refined mids. It's also a little big and bulky, but if you want a portable speaker with plenty of sonic heft than you're unlikely to care too much. Portable speakers can get pretty bulky, and at a certain point you start to wonder whether they're actually still 'portable' after all. The UE Wonderboom, with its incredibly compact form-factor, suffers from no such concerns. It's small enough that you can easily chuck it into a bag for when you need it, and it still packs an impressive sonic punch. You're making some compromises with a speaker this small. It's battery life is a more limited 10 hours, and there's also no USB charging or 3.5mm input for hardwiring a phone. But if these are features you're not as concerned about, then the UE Wonderboom is an absolute steal at its budget price point. The Creative Muvo 2C is about as cheap and compact as Bluetooth speakers get, but it doesn't skimp on functionality to reach this price point. It's IP66 rated, which means it should survive a light showering, and it's also compatible with a variety of different input sources including microSD cards if you want to load it up with MP3s and not bother with using your phone to control it. You can even pair it together with a second 2C if you want a pair of stereo Bluetooth speakers. At this size and price you don't get much in the way of battery life (6 hours), and nor do you get conveniences like NFC pairing and USB charging, but if you want an ultra-cheap speaker to get the job done then the Creative Muvo 2C is a great choice.